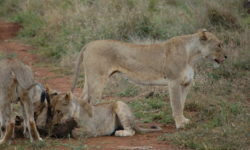 In this week’s news wrap it has been reported that the United States remains the biggest importer of endangered African wildlife trophies; 30 elephants are relocated in Kenya in the hopes to end human-wildlife conflict; Kenyan MPs urge President Kenyatta to ban logging and declare it a national disaster; African penguins have succumbed to avian flu in the Western Cape; the US Embassy supports the South African wildlife crime investigations through donation of forensic trailer units; and a major seize of an abalone consignment goes down at Durban harbour. 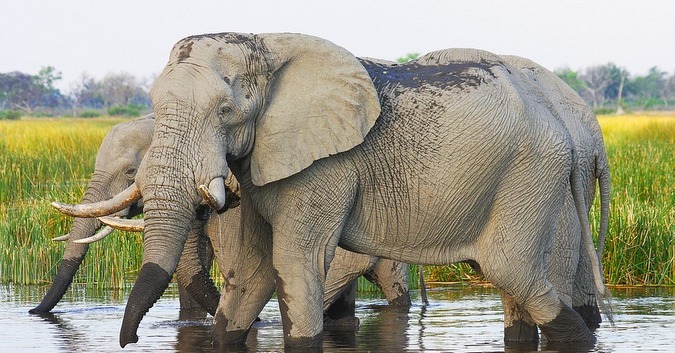 The United States remains the biggest importer of trophy-hunted endangered animals in the world in spite of Donald Trump’s recent public comments overturning a decision by the US Department of Interior to allow elephant trophies into the United States. In 2016 alone the US imported 3 249 or 60% of the animal trophies from just six African countries – Mozambique, Namibia, South Africa, Tanzania, Zambia and Zimbabwe. According to the trade database of the Convention on International Trade in Endangered Species of Wild Fauna and Flora (CITES). 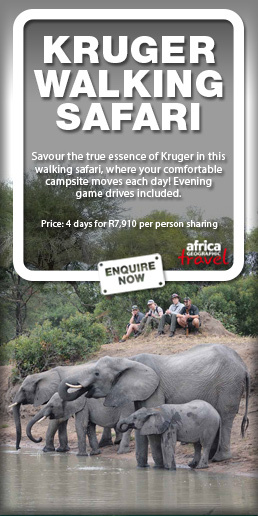 One of the most popular big game mammals for trophy hunters to kill are elephants. Donald Trump has made specific reference to the horror of elephant trophy hunting before, yet hundreds of American hunters, including the President’s own sons, have on average imported around 200 elephant trophies annually. This excludes the approximate annual haul of 150 tusks and hundreds of feet, ears, teeth, skin pieces, and other elephant derivatives. Last year, the US Department of Interior attempted to overturn the ban but Trump stepped in to uphold it. Yet, in the three years since the ban came into effect, over 600 elephants from other African countries were shot, and their trophies imported into the US. 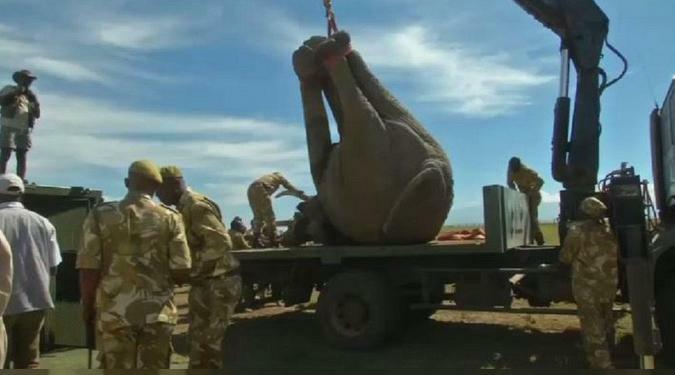 Wildlife officials in Kenya have begun a relocation operation for 30 elephants on Wednesday, fitting monitoring collars on the tranquillised animals before using cranes to swing them onto flatbed trucks. “In efforts to reduce human-wildlife conflicts, we are translocating some elephants from Solio ranch to Tsavo,” Najib Balala, Kenya’s cabinet secretary for tourism, who attended the event, said in a Twitter post. 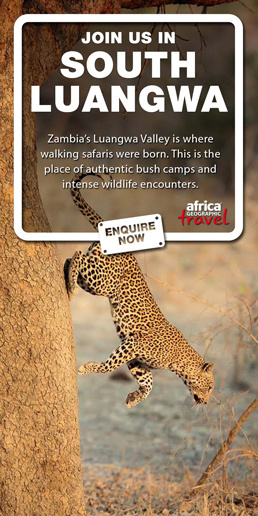 The ranch and the surrounding Lamuria region, home to about 300 elephants, forms part of a migration corridor for the pachyderms between the parks in the country’s Mount Kenya and Aberdare mountain ranges. A fence stretching 400 km (249 miles) in the Aberdare range and another, 200 km long (125 miles), in the Mount Kenya range, are among the strategies wildlife officials are deploying to curb the problem of human-wildlife conflict, Balala said, adding that compensation to farmers affected by animals straying on to farmland was expensive. 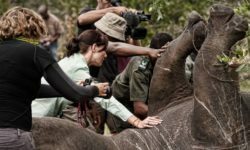 Veterinary officers drew blood samples from the elephants for health screening and recording purposes, besides fitting the monitoring collars that give rangers early warnings if the animals stray too close to human habitation. A parliamentary committee on Wednesday demanded the Kenyan government immediately bans logging and revokes loggers’ licences. The National Assembly Committee on Environment, chaired by Kereke Mbiuki (Maara), asked President Uhuru Kenyatta to declare logging a national disaster because it has devastating consequences. “The wanton environment degradation through unchecked logging is a crisis that Parliament is seized of and is determined to address,” Mbiuki said. He and committee members addressed a press conference at Parliament Buildings. “The destruction of our national forests through unchecked logging is having a devastating impact on our water towers, which are increasingly drying up.” The committee said forests are disappearing, leading to perennial droughts and increased flooding due to climate change. 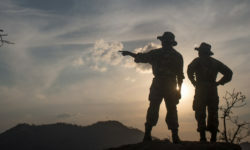 “We are demanding the Kenya Forest Service revoke all existing logging licences [and] a multi-agency team undertake a holistic audit of our country’s forest cover, which will inform the government utilisation plan in future,” Mbiuki said. 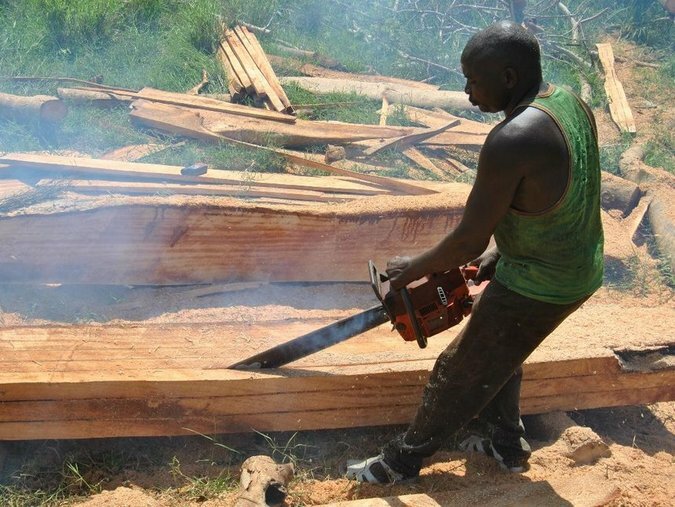 There has been growing public outcry in parts of the country over uncontrolled tree-cutting for timber and charcoal. Residents have protested against government’s failure to act on deforestation activities in Mt Elgon, Nyeri, Murang’a and Mau Forest. 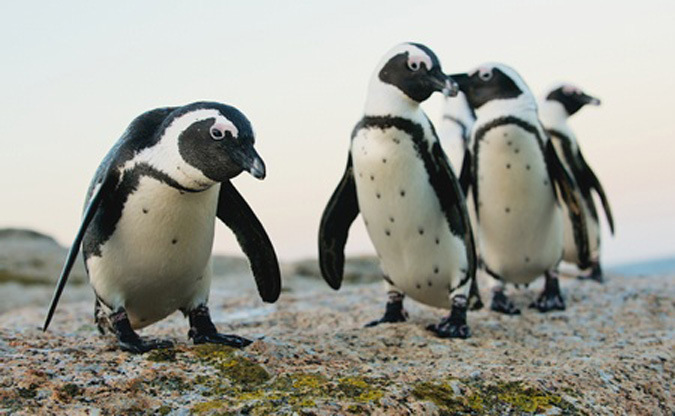 African penguins have succumbed to the highly pathogenic H5N8 avian flu along the coastline of the Western Cape. The department of agriculture confirmed on Monday that seven cases from six different sites across the province had tested positive in penguins. Of the seven cases‚ one has survived. Infected birds are being treated‚ as African penguins are an endangered species. Treatment protocols are similar to those for flu in humans. They include nutrition‚ hydration‚ vitamins and administration of anti-inflammatory drugs or antibiotics for secondary infections‚ if necessary. The department said in a statement that no new cases of the disease had been reported in the commercial poultry sector since October. 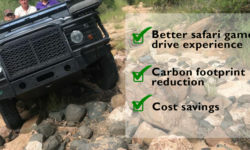 Representatives from South Africa’s Department of Environmental Affairs (DEA) based in Northern Cape, Eastern Cape and KwaZulu-Natal received mobile trailers with everything needed to carry out detailed forensic wildlife crime scene investigations in even the remotest of locations. The self-contained mobile trailer units come with built-in power supplies, a supplementary electricity generator to power floodlights for night-time work, a refrigerator to keep samples cold, built-in water tanks and ample storage space for all the equipment needed for forensic evidence collection. 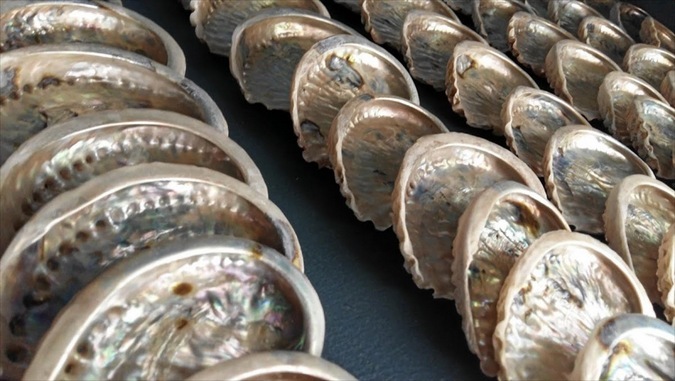 Eastern Cape cops have landed a hammer blow to an abalone smuggling syndicate with the seizure of 1.6 tons of abalone worth R2.6-million at Durban’s harbour on Wednesday. According to a statement‚ the swoop by the Hawks Eastern Cape Serious Organised Crime unit followed a similar bust at the Port Elizabeth harbour in the Eastern Cape last month. “During last month’s confiscation 8.6 tons of abalone were seized. The abalone which was seized last month was valued at R18-million. No one has been detained‚ however arrests are imminent‚” stated provincial Hawks spokesperson Captain Anelisa Feni.